Having more than one animal in a single enclosure (cohabiting) should not be done thoughtlessly. It is possible to find plenty of examples of exhibits and private collections where multiple animals of the same species (and sometimes mixed species) live in harmony. On the other hand, at L.E.A.R.N., we have taken in numerous animals over the years that have been injured by tankmates. Cohabitation is a very controversial topic in the herp community and there does not seem to be one clear answer. Some people vehemently protest that housing multiple animals together is a risk without benefit and should never be done. Others seem to feel like it is rarely a big deal and advise not to worry about it. As with most things, the truth is somewhere in the middle, but knowing where to draw the line takes research and an intimate familiarity with the individual animals in question. 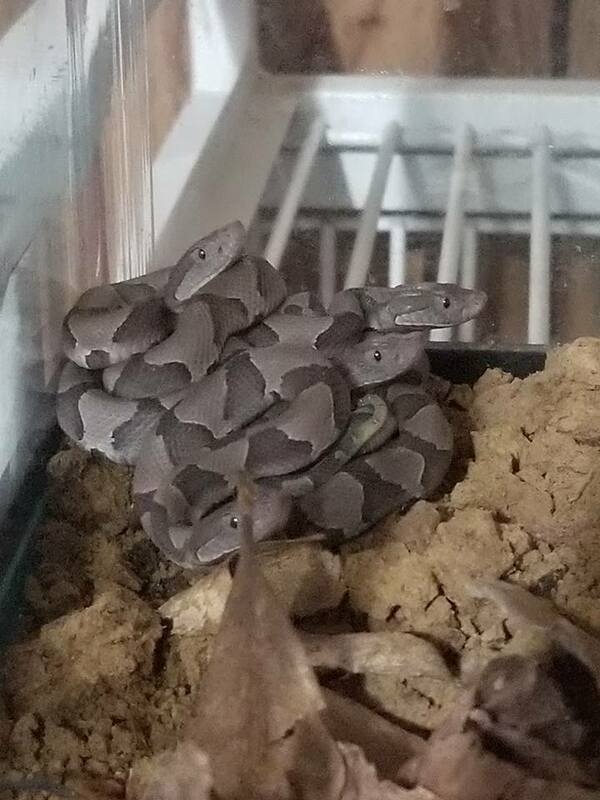 Many or most species found in the pet trade make poor candidates for cohabitation, including any species known to eat other herps in the wild. Furthermore, there have been numerous observations of species that rarely interact in the wild developing problems with each other in captivity, particularly when there is competition for resources and during feeding times. It should also be noted that even among species that seem to interact safely under some circumstances, there are pairings that are best avoided. These include housing a single male and female together (often resulting in the female being pursued continuously and possibly bred too often), housing differently-sized animals together (larger specimens are much more likely to kill or injure smaller animals), housing two territorial males together (males of many species, such as anoles, are known to respond to presence of other males as an intrusion). Even herbivores may attack each other if they feel another animal is invading their space. 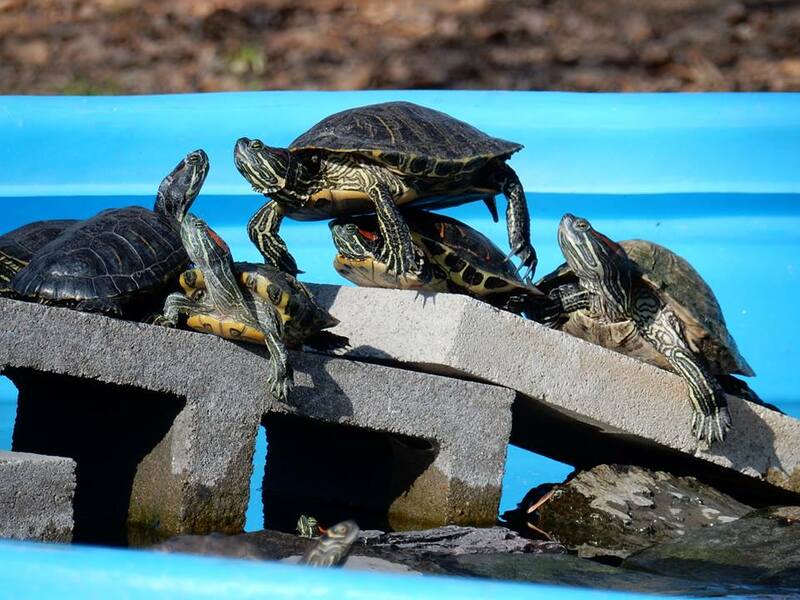 Although there are groupings that typically take place without issue (e.g., ribbonsnakes, many small frog and geckos, mixed species enclosures of similarly-sized insectivores, many aquatic turtles, etc. ), mishaps can occur in any community. It is best to enter into any cohabitation very carefully and thoughtfully after diligent research. Managing communities requires attentive observation, and it is essential that excellent husbandry is being practiced to mitigate issues from competition. 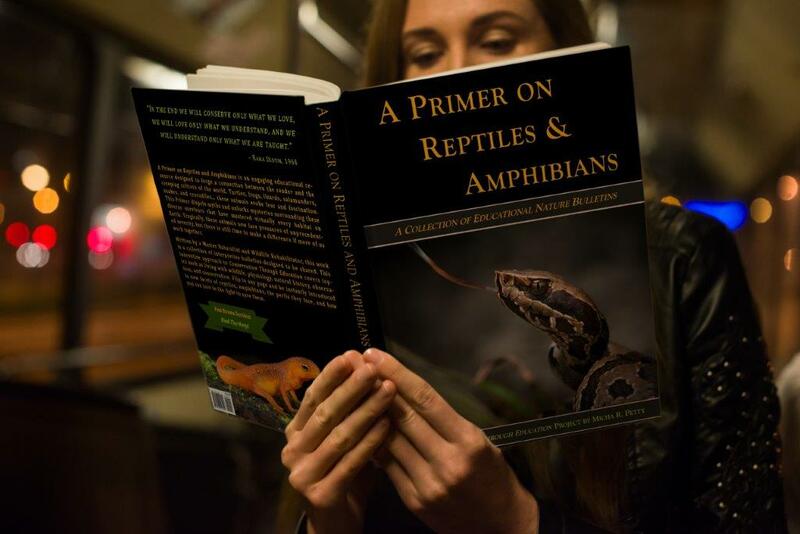 Especially if you have never kept herps before, it may be better to start by erring on the side of caution until you gain more experience or have the guidance of an accomplished keeper. Only certain carefully-selected animals may be suitable for living in an enclosure with other animals. Maintaining a community enclosure should only be done with great care and a thorough knowledge of good husbandry.